The tour in Fat Bike is a unique opportunity to capture images, sounds, scents of the island of Lido. Experience not only sports but also for sensory addentrasi the heart of tradition, between the sea and the lagoon! Sport all’aria aperta immersi tra mare e cielo… tutto a pochi minuti da Venezia! 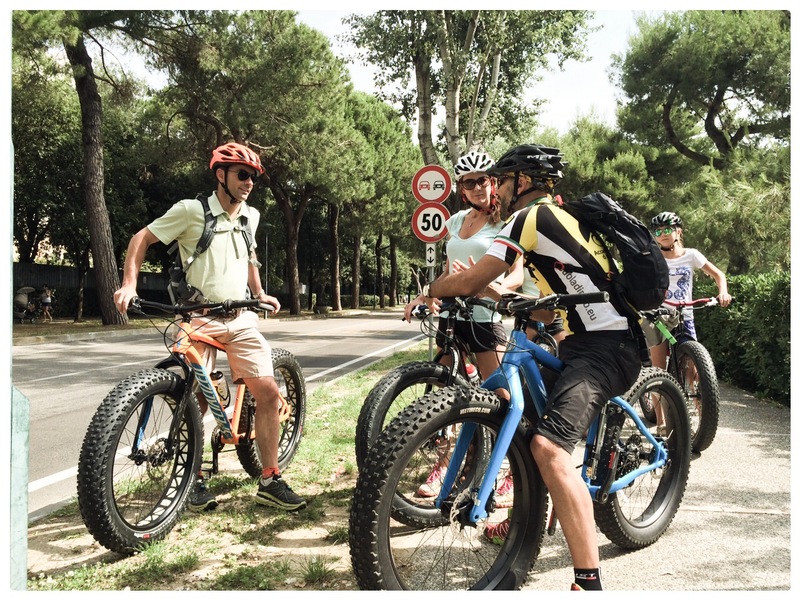 Tour in Venice with a fat bike – Discover Lido island! 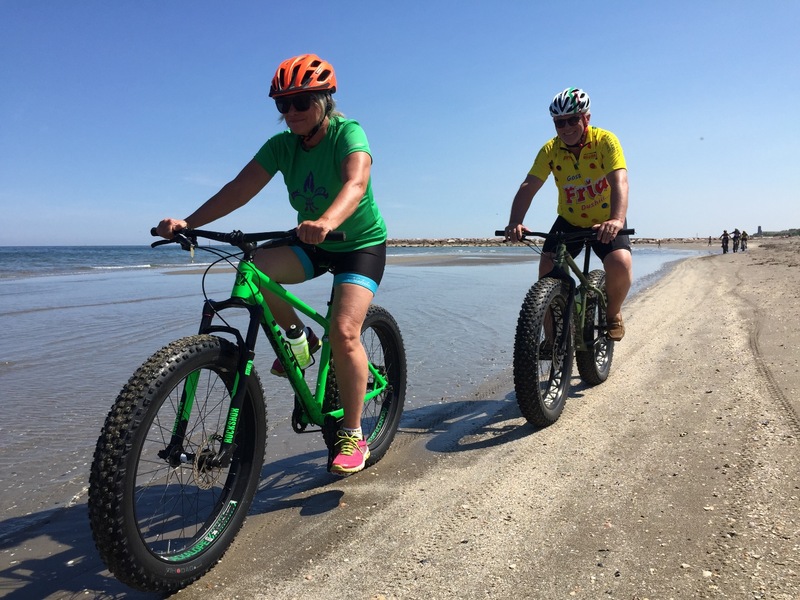 Have a fat bike tour on Lido beach to discover the many different sides of this island, from its eighteenth-century buildings to the Murazzi, a long stretch of rocks made by man in defense of this thin strip of land. 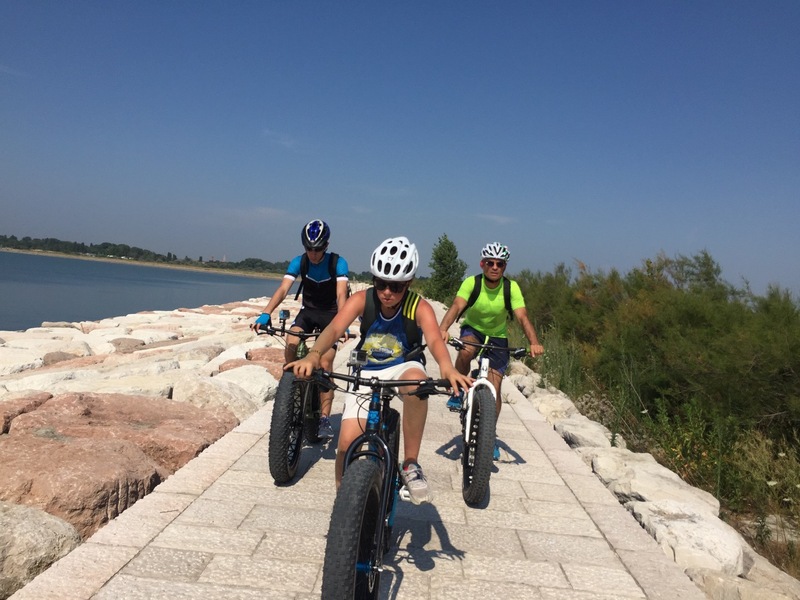 Lido island is the perfect place for bike excursions! The Lido island, unlike Venice, is also accessible by car, but … to reach even the most hidden corners and details better yet the two wheels of the Fat Bike! Our instructors will take you on a sensational journey between sea and lagoon, the discovery of Art Nouveau buildings, exclusive beaches and other selvagge..ed an inevitable view of Venice! Sunset tour (4h30), medium track that extends to the entire island, even for the most complete sensory experience all the magic atmosphere of the sunset on the beautiful beaches of the Lido. In the medium and sunset tours we will stop at for lunch (extra payment). 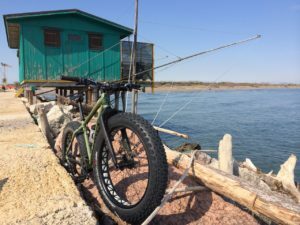 You can choose between normal fat bikes and electric model (If you prefer less strenuous you can require a Fat Bike assisted model electric by Fantic Fat Bike Sport version). Meeting point is at Tronchetto ACTV ferry stop. After traveling with our FAT bike around the Lido we take the Ferry boat to return. For minors of 15 y.o., no electric bike can be rented, as per current jurisdiction. 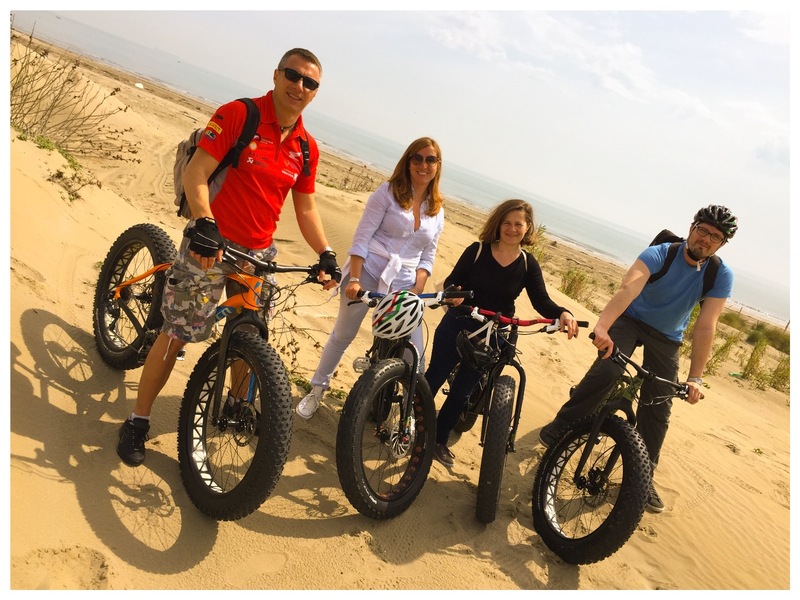 Electrical fat bikes are available for all excursions for +10 euro. 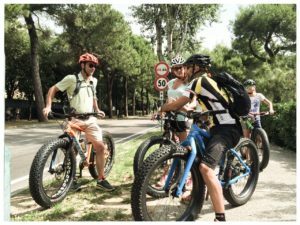 Bike for kids 8-14 yo: 25 euro for every tour. In bad weather you can contact the instructor to select another date. In the event of cancellation by the customer the refund will be 80% of the total out within 24 h before; no refund in case of No-show or last minute cancellation.